The following was forwarded by Leslie Fleming of the Haiti Action Committee. Please keep in mind our government’s response to Hurricane Katrina as you read it. How obscenely ironic that Obama has appointed, along with Bill Clinton, George W. Bush, Mr. Katrina disaster himself, to oversee aid to Haiti. All I can say is that I hope he has learned something from his response to Katrina and gained some humility. I think we may need to start thinking about public actions to demand that aid get to those most in need immediately. According to CNN tonight (Jan. 15), “for security reasons,” the U.N. required all doctors and nurses to leave one small Port-au-Prince hospital, full of badly wounded Haitians, some today post-surgery. And CNN showed the doctors and nurses in trucks being driven away abandoning patients to … no care at all. No U.N. security left to guard the desperately ill or, better yet, guarding the hospital with doctors and nurses inside helping their patients. What in hell might have been the security threat that 3,000 (seemingly absent in helping dig buried people out) U.N. soldiers stationed in Port-au-Prince couldn’t handle? “Security” is the U.N. Haiti mandate, after all. Fear of poor Black people … so sadly reminiscent of the response to Katrina, and so lacking in actual evidence. New York Times columnist David Brooks – widely read and admired by some liberals for being a “moderate” and “reasonable” Republican (because he sometimes is politely critical of the Bush administration and of Republican strategies) – attempted to explain Haiti’s weak infrastructure and general poverty by blaming Haitian culture. Note: Brooks has no expertise in Haiti culture and Harrison spent several years in Haiti during the 1970s Duvalier dictatorship but has made his academic career blaming culture for poverty everywhere. Would some of you please write the NY Times about this? It’s more than just wrong. It will inhibit some people from donating and others will criticize Obama for donating (the measly) $100 million. 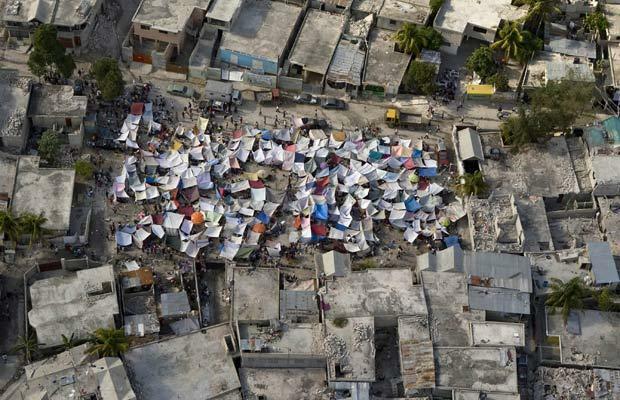 “Port-au-Prince, Jan. 15 – Rescue efforts were stalled today in Port-au-Prince with foreign rescue workers overwhelmed and unprepared to deal with impoverished people. Crews arrived with neither vehicles, nor gas, nor translators, nor guides. “Thus far, the rescue teams cluster at the high profile and safer walled sites and were literally afraid to enter the barrios. They gravitated to the sites where they had secure compounds and big buildings. Meanwhile, the neighborhoods where the damage appears to be much wider, and anywhere there were loose crowds, they avoided. “In the large sites and in the nice neighborhoods and where the press can be found, there would be teams from every country imaginable. Dogs and extraction units with more arriving, yet with 90 percent or more of them just sitting around; meanwhile, in the poor neighborhoods, awash in rubble, there was not a foreigner is sight. “News crews are looking for the story of desperate Haitians that are in hysterics. When in reality it is more often the Haitians that are acting calmly while the international community, the elite and politicians have melted down over the issue, and none seem to have the remotest idea what is going on. In the nice neighborhoods and where the press can be found, there would be teams, dogs and extraction units with more arriving, yet with 90 percent or more of them just sitting around; meanwhile, in the poor neighborhoods, awash in rubble, there was not a foreigner is sight. “One case in point: The American embassy officials and the bulk of USAID, of whom more than 90 percent have been evacuated, have been frantic on the radio, shuttling everyone to and fro in a type of panic. Tears and adrenaline … and yet the streets in their neighborhoods and to the embassy were clear. “They were gone the first day. The offices and halls of USAID and the embassies were empty, not even administration present. Meanwhile, they would not even authorize gas to the Haitian employees so they could go out and help the rescue crews. Port-au-Prince, Jan. 16 – The gunfire spread last night to our zone. At 1 a.m. it started. It was off in the distance a ways when it first started but got closer and closer up until about 2:30 and then it seemed to stop. All of the homeless on the streets and in the refugee camps again met the chaos with loud singing, clapping and prayers. I am at the Matthew 25 house in Delmas 33. Here we have set up a triage hospital with more than 1,300 refugees on a soccer field. The people at Matthew 25 have been traveling all over the city trying to figure out what clinics and hospitals are operational, what services they can provide and what the needs are. There is no visible coordination effort from international agencies on the ground. There were no planes coming in yesterday. One of my coordinating partners, AMURT-Haiti, worked to find a plane of 30-40 doctors and supplies that could come, but the plane was not allowed to land in the PAP (Port au Prince) airport. We have teams in the Dominican Republic with truckloads of supplies, but they were stopped at the border and were not allowed entry. The situation here is desperate and getting restless. The John Hopkins students who were visiting Rights Based Haiti and AMURT when the earthquake hit have been doing surveys and assessments of the clinics and refugee camps in the nearby zones. The surveys that they conducted two days ago show that none of the people in the camps had food or water to last them more than a day. 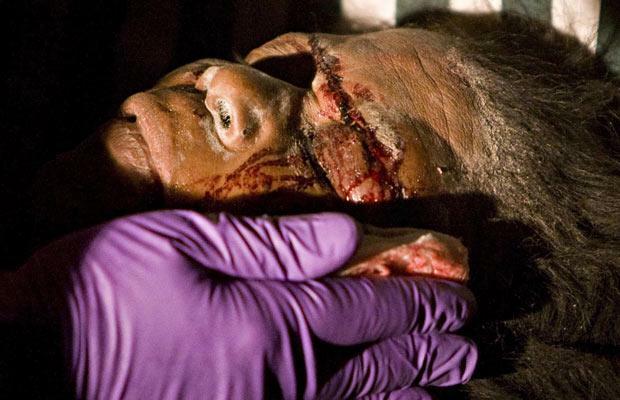 Here at Matthew 25, we have been doing amputations and other painful surgeries with no painkillers, no anesthesia, nothing to work with. There are no tools for our doctors. We have numerous Haitian doctors and nurses here but no supplies! We have run out of antibiotics twice but then found them by searching at nearby clinics run by missions and NGOs. We have heard nothing from MINUSTAH. I have not seen any of the international agencies on the ground. I have seen Belgian doctors and Cuban doctors all doing amazing work – but we have not seen or received any contact or assistance from higher agencies ourselves. The city has run out of water and food – but the biggest problem is gas and diesel. The little that trickles in to the one or two gas stations is the subject of fights that will soon become rioting. At Matthew 25, there is no diesel to run the generator. We are using the last power that the inverter has that may cut out at any time. Our vehicles are all on their last ounce of fuel. I have sent one of my trusted staff and friends who worked closely with me during the Gonaives emergency in 2008 to find gas this morning. I am afraid for him. There is no way for him to communicate with me because there is no phone service in the country. Now we are also running out of money. I gave my last cash today to pay for gas, a little bit of food and a spare tire for one of our vehicles to replace one that was stolen. The nearest Western Union is two hours north in St. Marc and we are not sure if that is still functioning. An added pressure on the city right now is that, due to the lack of communications, many people from the provinces are coming to search for their loved ones. They then add to the numbers of people stuck in PAP with no way out, no food or water. All of the problems that exist in catastrophes we are experiencing now: how to dispose of the bodies, the human waste, how to move people out of the city. Everyone here is fearing rain because they think that the first rain will move the earth under the standing houses causing those buildings to fall as well. Each day more things fall. I am coordinating with AMURT, KONPAY, Beyond Borders, Matthew 25 and many other partners on an integrated response that will help us get through the next week as well as prepare us to deal with the coming months of insecurity. We have coordinated the shipment of diesel from the open port in Cap-Haitian, the use of a shipping company to haul fuel from the Dominican Republic to PAP, the use of a large protected storage compound to store the fuel. We have Haitian volunteers working with the John Hopkins team to conduct the surveys to provide us important data on the numbers and locations of people who are in need of medical care, so that when help and supplies arrive, we are able to efficiently get people to where they need to go. We have worked with grassroots leaders in Commune Anse Rouge to gather information throughout the commune on family names and locations in PAP so that each village can send one or two people to search for loved ones in PAP rather than everyone from the villages going into the disaster zone. In general, we are being used as a place for information exchange. Journalists and organizational representatives are checking in daily to give updates and share information, which I then share with my contact at KONPAY who then shares the information with the larger network of NGOs that we are coordinating with. Until MINUSTAH is able to re-establish a coordination base, we are making the Matthew 25 house the coordination headquarters for our operations. Haitians are helping each other in glorious acts of compassion and kindness everywhere you look. These people have endured so much unspeakable and unnecessary suffering. I am today, as always, blessed to be walking with them in their struggle to overcome their awful and unfair circumstances and am even more blessed to be sharing in the strength of spirit that makes each one of them my hero. Our partners also need your help! AMURT-Haiti and Beyond Borders are helping us to coordinate our efforts. We are all working together to share resources to assist Haitians during this disaster. Please send your donations to Konpay, to AMURT-Haiti or Beyond Borders to help us! Editor’s note: Cuba was among the first to offer aid – massive aid, including hundreds of doctors – after Katrina, but the Bush administration rejected it. Havana, Cuba, Jan. 15 (ACN) – Students from Havana’s Latin American School of Medicine (ELAM) requested on Friday, in a letter addressed to Cuban President Raul Castro, to have the opportunity of helping the Haitian people. These youngsters are from Guatemala, Nicaragua, Panama, Uruguay, Costa Rica, Venezuela, Bolivia, Honduras, Ecuador, Mexico, Chile, Paraguay and other nations, who, acting on their own initiative, created the 12 de Enero Internationalist Brigade of Solidarity with the People. The date recalls the recent day, Jan. 12, in which a violent earthquake hit the Caribbean nation, leaving behind incalculable human and material damage. “We feel the moral duty, internationalist and in solidarity, of devoting ourselves entirely to the urgent needs of the Haitian population,” reads the message addressed to Cuban President Raul Castro. “This is the moment when the ideal for which our project was created is reflected at the service of this noble cause,” stresses the letter. “Committed to this idea and aware of the fact that our actions will help the victims of the disaster, we request to be given the opportunity of contributing to that revolutionary duty,” expressed the group of students from ELAM willing to travel to Haiti. “In the words of Revolution leader Fidel Castro, we’re fulfilling a fundamental internationalist duty when we help the Haitian people,” concludes the letter addressed to Raul. Following the initiative, the members of the 12 de Enero Internationalist Brigade of Solidarity with the People toured on Friday the faculties of medicine of Havana’s University of Medical Sciences to incorporate more students into the project, as Cosme More, head of the institution’s Department for Promotion and Information, explained to ACN. Contact the Cuban News Agency at www.cubanews.ain.cu or ainnews@ain.cu. If there was a strong good govt in Somalia would all these sickening calamites come to pass. cohorts why this is happening under their approval. and on the web I found this web site as a most excellent web page for most up-to-date updates. employees transferred to a new location and new hires. (Club Med Kenmar) and France (Club Med Val Thorens). people and western life too.